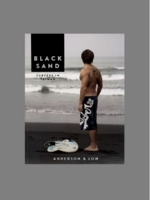 Black Sand is a continuation of Anderson & Low's ongoing studies of sport and of sport as a reflection of both individual and cultural diversity and aspiration; it an exploration of the new Taiwanese surfing culture. 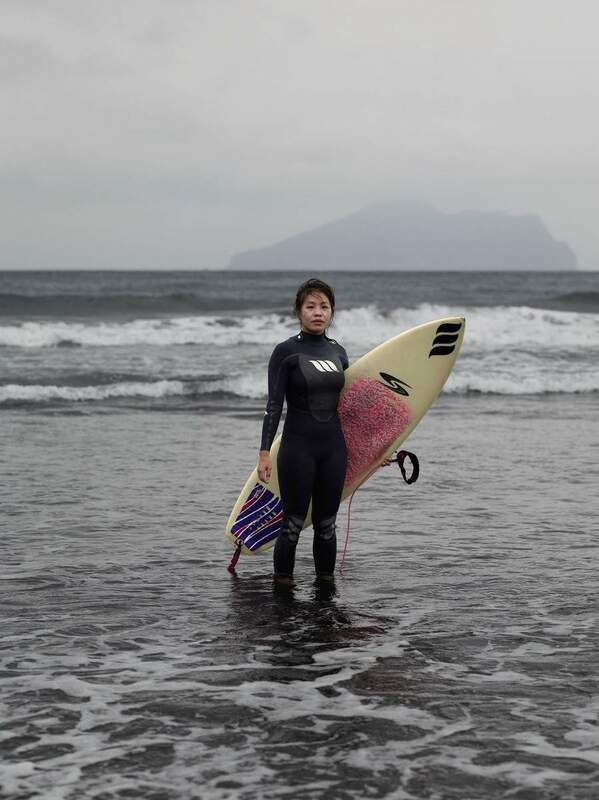 The volcanic black sand beaches, the grey sky of the typhoon season and a lead-coloured sea provide a natural monochrome backdrop for this new series. 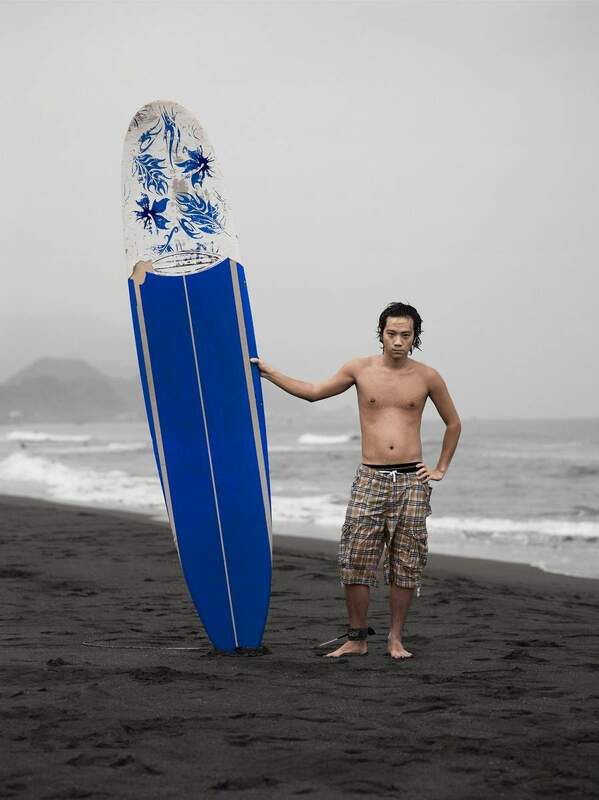 The only colour in the photographs is found in the surfer's skin and the vibrant design of their surfboards and surfing attire. 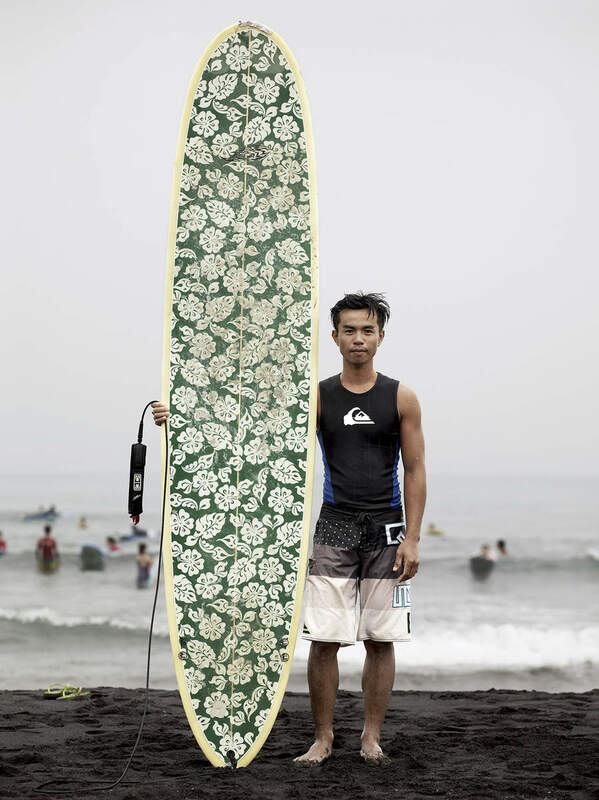 The resulting images are the antithesis of the archetypal surfing image. The contrast between these monochrome surroundings and the colourful subjects focuses the mind on the character and diversity of these surfers, part of a new generation who are helping to evolve this nascent culture. 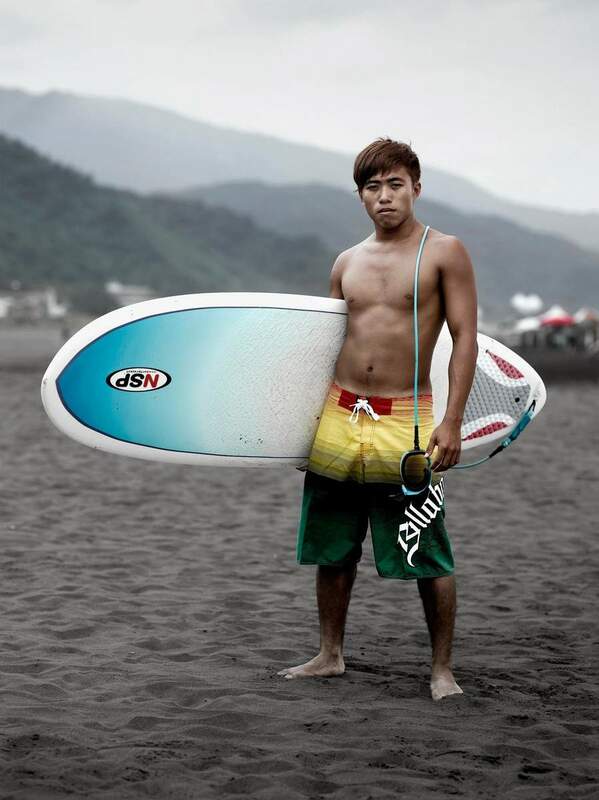 The book Black Sand - Surfers in Taiwan was published in March 2014.